kandeej.com: 3 Days Til Due Date! 3 DAYS UNTIL MY DUE DATE!!! bring on the Love Belly!!! Hi Kandee, I read and love all your blogs. I wish everything goes well with your delivery. God bless you and your new baby. Love ya! Yep preggie VLOG! Can't wait! Braxton Hicks contractions? Anything? Kandee! I love seeing you every day, because you're like a best friend and a sister! If you do a vlog/day until baby comes I would be so happy to hear how you and baby are doing! Have you thought of a name yet? I know you aren't allowed to show Alani and Blake on the internet, but will you be allowed to show us baby's face so we can see how cute she is? I understand if not. :) We will still love you and her so much! Thanks for keeping everyone updated - we are all praying for you and wondering how you are doing! Love always - shannon w.
I love hearing about your pregnancy!! Goodluck Kandee, I know your going 2 do great! God Bless you & your little cup cake. Omg, that is so lovely !!! Blessings for a safe, wonderful delivery and a happy healthy baby!! I love watching your more personal vlogs! I just had my second baby in Dec. and I am having a hard time finding balance in everything. Watching your videos and reading your blogs gives me motivation. You have more going on in your life (not to mention more children :) than I, so it gives me hope that it is possible to balance all these things and still be joyful. Praise God for you! Wow Kandee your little cupcake is almost here! eeh how time flies! I wish you and your precious baby the best of luck for not only a smooth delivery, but for a fantastically-amazing future together! Sooo exciting!!!!! Can't wait to see the new addition! A daily vlog would be so fun! Love hearing about the pregnancy and baby stuff. Can't wait until my fiance and I are blessed with a child of our own. Do you have a name ready for her yet? Thank you for your kind words gorgeous. They gave me that little extra boost I so desperately need right now. Oh good luck Kandee!! I'm praying you have a safe and easy as possible birth and that you and your little one are happy and healthy!! Good luck! i would love to see daily videos!!! can't wait till baby comes, i can't imagine how excited you are!!! Sooo cute!! 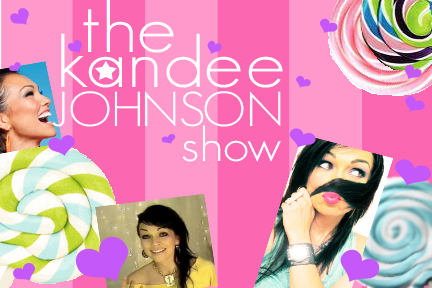 ..and may I just say that I LOVE your KANDEEJOHNSONSHOW channel! I recommend your channels all the time! I can't wait to see more baby videos on it, I remember you asking us if we wanted more when we first learned of your baby, and being like "YES! MORE!" Thanks for sharing! yayyy! Baby's coming :) Vlog everyday! Good luck Kandee! We love you! I vote for YES to making a daily vlog! I love just hearing your voice and seeing how sweet and happy you are. :) I can't wait to hear how everything goes! kandee!! hope everything goes well with your new baby girl! i vote YES! on the daily vlog!! also just wanted to know if you have decided on a name!!! Hey Kandee! Thanks for letting us know about your life and your beautiful kids! Just wanted to know you are my hero and who i look up to. I think its amazing how you do your own business and your a single mom doing everything yourself. Your the modern super women and your soul is just so beautiful and your so talented! Im a single mom of 2 and I want to do the same thing you are. Through out the past year and a half I have been watching you and doing your makup looks and learning so much! You have tought me so much and I just love makeup and doing makeup for people and making them feel beautiful. I also love your attitude about everything and whenever I have a bad day I think of you and your cheering us all on and whenever i think I can't do something i remind myself of everything you do and remind myself that i can! Now im going to be going to makeup classes and reaching for the stars and become a makeup artist like you! Thank you for everything and I wish you and the baby as well as your family all the best in life! I know your super busy with comments and everything but know you are so loved! hi Kandee!! just wanna say Goodluck on your delivery... hope everything goes well... God bless you! Kandee ... I am so happy and excited for you. I pray for you every day! She's going to be the darlingest little cupcake -- beautiful just like her mum! Since I just had a baby myself six months ago, I love reading about you and dulcecandy87 journey. Congrats and Good luck. Thanks for sharing your baby bellyness! You are so beautiful! I can't wait to see your new little princess!! I'm so excited for you! Good luck and crossin my fingers for an easy delivery. Yes Kandee do the baby vlogs on your other blog! That would be awesome! 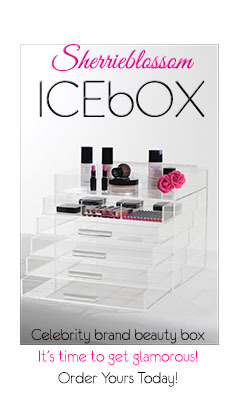 Also, if you see this comment...I wanted to know if you have heard of INGLOT makeup and your opinion of it! If you haven't heard of it or used it, I think it's amazing and you should check it out! I'm sure you there's a store in LA or somewhere in California! Good luck and can't wait till your little cupcake safely arrives to join us all! Keep up the wonderful work, and get some rest soon! Kandee you were the first videos I started watching on youtube, I love your style and looks, you completely inspired me! I'm only 16 and live in Virginia and I'm trying to figure out what I want to do with my life and right now makeup is my passion.I just started a blog and even though i'm scared i'll eventually get around to videos. 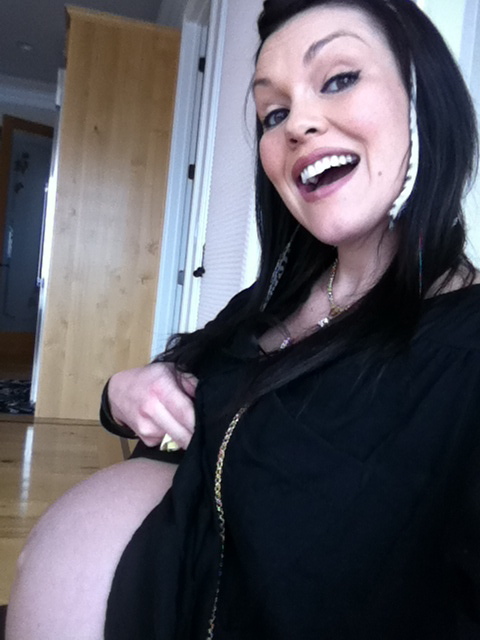 It would make my life if you subscribed to my blog,Thank you so much for inspiring me, good luck with your baby! Omg i can't wait for the patricia field video! That'll be awesome yayayayay! I would love to see a daily vlog! I am the proud mama of a little boy who turned one today, but I had him at 29 weeks so I have no idea what the end of pregnancy is like! Haha. Good luck with your little cupcake and I'll ask my angels the delivery goes perfect for you! YES A VIDEO EVERY DAY!!! please a video every day!!! Hope you have a safe delivery!!! Hi Kandee, how exciting, only a few more days. I would love any blogs or vlogs that you do. I would love to learn about some of your fav baby things or tips and tricks when expecting or just anything you are willing to share. Always love any and all advice you give. You are an inspiration. I always read your blogs, nomatter what ya do, bake a cake, or celebrate or talk about babies, you cheer up my day! I Wish you all the best for the childbirth. PLEASE READ ME :) KANDEE !! congrats 3 more days!! i have some URGENT info to share with you. Idk what your views of this are but I feel in my heart that they are the right thing, since I've been following (FB) you for a year or so now. You are such a big influence and I KNOW you could make a HUGE diffference, I JUST SAW THESE DOCUMENTARYs of the reality of Planned Parenthood that ever woman needs to see. and please get to see it yourself too!! Please dont stop reading... I thought it was silly too... but now I'm involved..after hearing WHAT REALLY IS GOING ON IN THIS BUSINESS. In this documentaries, you see Jane Roe better known as Norma Mccorvey(Roe vs. Wade 1973) pantliff, Former Abortion clinic owner Carol Everret , Abby Johnson Director of PP (WHO ALL HAVE RESIGNED AND REVEALS THE TRUTH OF PP) and Alveda King - Martin Luther King niece, and many important ppl. PLEASE PLEASE LET ALL YOUR FANS KNOW ON FB! THE U.S IS on ALERT ON THIS RIGHT NOW bc the reality has come out and its dirty and shocking! Go to bloodmoneyfilm.com and WATCH trailer for BLOODMONEY. You can also purchase it. and also DONT FORGET TO WATCH MAAFA 21- for the very specific details and where it ALL really started. PLEASE LET YOUR FANS KNOW! I'm a believer of God,and I know its the biggest work on earth to do IN THIS TIME PERIOD that needs to be addressed. I'm not trying to offend anyone by this msg either. I just care for every human being, and like you said everyone is special sso its not fair that PP is trying to HIDE this INFO from EVERYONE!!! PLEASE TAKE THE TIME TO SEE THESE 2 DOCUMENTARIES SOON, Idk if you'll be on a break lol right now that your having your baby but if so it would be the perfect time! For the sake of the babies and womens health, join us! PLEASE READ ME KANDEE:) (2 msgs long) KANDEE !! congrats 3 more days!! HERES ABBY JOHNSON on FOX NEWS! Kandee..where can I get a realy great makeup roll for all of my brushes?? kandee please name your baby cupcake!!!!!!!!! yes i would love to see your vlog! it's a great idea! best of luc with your baby! Love your blogs Kandee. Was wondering, could you do a video on "bombshell" makeup for blondes? I recently highlighted my hair blonde and im not sure what to do with my makeup anymore! Thanks. Can't wait to see you little cup cake!!! I thougt of a baby name for you...Danielle. I was watching one of your older youtube videos and you mentioned you liked the name so i thought i should remind you that you liked it. HI, Kandee just wanted to stop by and wish you the bestest, easiest, painless, delivery.. I hope everything goes well when you have ur little princess..
Don't forget about us, your fans that will be praying for you and your little present from God. by the way, my bday is January 25th, so who knows maybe her bday will be around that time..
kandee, your big day is my moms birthday too:) good luck!